Storm De Hirsch began publishing poetry and art criticism in American little magazines in the 1950s. Her work arrived in the vacuum of American postwar poetry and with no clear affiliation. It was on the periphery of the east coast Beat movement, engaging punctuative declarations, onomatopoeia, chorus repetitions and sensual, ornithological and Cabalistic imagery. De Hirsch’s poems are shamanistic, bearing properties of the magic ritual and incantation, and her mysticism as well as her passions for new forms led her in the visionary direction of the New American Cinema. In underground cinema, De Hirsch recognized a new form for poetry, and the films that she made between 1962 and 1975 reflect this sensibility. She would refer to some of these films as ‘cine-songs’ or ‘cine-sonnets’. Storm De Hirsch (1912-2000), born Lillian Malkin, was a poet, filmmaker and mystic. Her writings appeared in December, the San Francisco Review, Intro Bulletin and Film Culture. Many of De Hirsch’s films have been preserved by the American Film Preservation Foundation and the Anthology Film Archives, and are distributed by the Film-Makers' Cooperative in New York City. 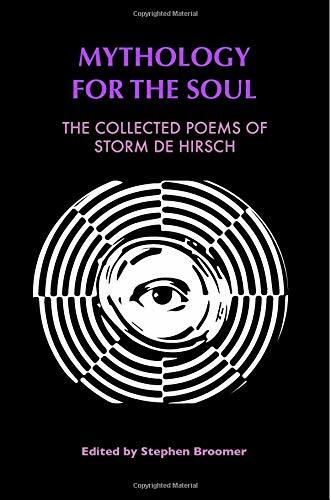 Mythology for the Soul is the first comprehensive collection of Storm De Hirsch’s poetry.